This well appointed ship has everything you need for a relaxing vacation through the tropical islands of the Carribean with an adults-only pool, spacious staterooms, and gourmet dining options. The first of Holland America Line’s Pinnacle-class ships, the Koningsdam's design was inspired by music. The interior spaces feature smooth lines, lots of light and spacious gathering places with ocean vistas. Everywhere you turn, you'll see prints, paintings and sculptures of pop stars, musicians and instruments. The two-story World Stage theater provides a sparkling showcase for dance and music performances, and the entertainment complex called Music Walk™ gives guests a place to go and enjoy music of all kinds, from classical to jazz to rock. The Koningsdam, launched in 2016, carries 2,650 guests with a crew of 1,036. With its sister ship, the Nieuw Statendam, the two Pinnacle Class ships are the largest of the Holland America fleet with twelve enclosed passenger decks. These are the biggest, most technologically advanced and most luxurious Holland America Line ships ever built. A third Pinnacle Class ship, as yet unnamed, is planned for 2021. From a winter and spring schedule departing Fort Lauderdale to a spring Atlantic crossing, the Koningsdam switches seamlessly from Caribbean to Mediterranean cruises. Other departure ports on its schedule include Rome and Amsterdam, with Northern European and Baltic Sea offerings. The ship's 12 enclosed passenger decks include 13 stateroom categories, consolidated by type below. Two new cabin types are the single cabin for solo travelers, and a family cabin that sleeps five. All cabins come furnished with plush Euro-Top mattresses, safe, mini-bar, hair dryer and flat-screen TVs. The Inside Staterooms feature a queen-size bed with signature Mariner's Dream bedding with plush Euro-Top mattress. The bathroom has a premium massage shower head. Spa amenities may be added, including a yoga mat and access to the spa or fitness room. Verandah Suites have floor-to-ceiling windows overlooking a private verandah, two twin beds convertible to a queen-size bed, a comfortable sitting area with table, and a shower with massaging showerhead. Some may have a sofa bed for two additional guests. The Vista Suites vary in size depending on where they are located. All have a large sitting area, a queen-size bed, a private verandah and a floor-to-ceiling glass door. Some also have a sofa bed that sleeps two guests. The cabin is equipped with a refrigerator and the bathroom has a massaging shower head. This is a large, comfortable room with a private verandah, queen-size bed, a sofa bed and a Murphy bed, so you can sleep four guests. There is a large sitting area, a bathroom with a dual-sink vanity, a full size bathtub with whirlpool and a separate shower. Floor-to-ceiling windows overlook the private verandah. A king-size bed, sitting area with sofa, and a bathroom with dual sinks provide plenty of room for four. You'll have either a shower or a whirlpool tub in the bathroom. Guests get exclusive use of the Neptune Lounge, private concierge and complimentary services, snacks and drinks. The one Pinnacle Suite onboard features a king-size bed, sofa bed for two guests in a separate living room, a dining room, pantry, mini-bar, refrigerator, microwave, dressing room, guest powder room, floor-to-ceiling windows and private stereo system, as well as a huge balcony with a whirlpool. Guests in the Pinnacle Suite have access to the Neptune Lounge as well as a free bottle of sparkling wine, free hors d'oeuvres before dinner, in suite daily breakfast and priority boarding. One of Koningsdam's exciting new venues is Blend, an activity where guests can taste a number of wines from Chateau Ste. Michelle, the oldest winery in Washington State, and pick a few favorites to blend. The result is a personalized bottle of mixed wines with a self-designed label. Along the same line, a tradition aboard HAL ships is cooking demos and cocktail classes at the Culinary Arts Center (which turns into a dinner venue at night). Through a partnership with celebrity chefs at America's Test Kitchen, passengers can attend cooking seminars and learn how to make gourmet dishes at home. In the evening, the 270-degree wraparound screen of the World Stage presents shows that are a mix of music, dancing and movies. 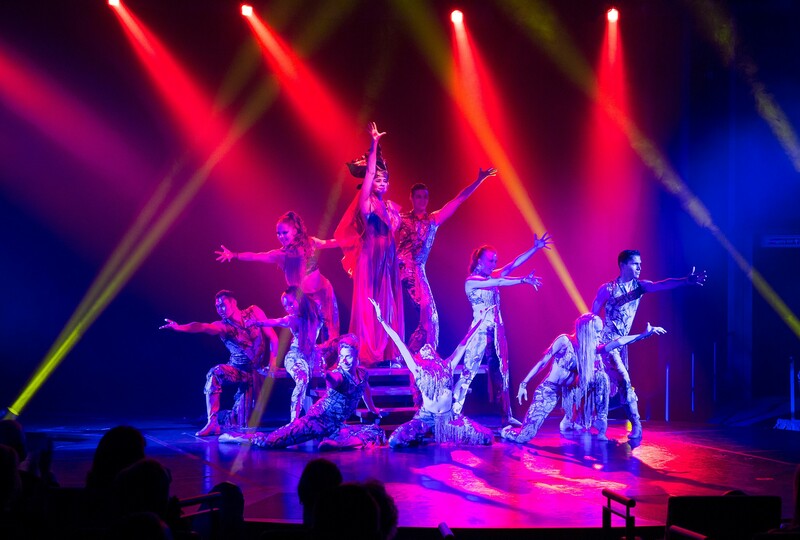 The onboard dancers and musicians put on Broadway-style productions. One highlight not to miss is the BBC production, "The Frozen Planet," which is accompanied by a special score played by a live orchestra. Other performances include comedy and magic. For music after the evening meal, guests wander over to the Music Walk just outside the main dining room. The B.B. King's All Stars play three times a night in the Queen's Lounge with a selection classic blues. For dueling pianos, there's the Billboard Onboard where two pianists play popular favorites and lead sing-alongs. For the more active guests, there are also ping-pong tournaments, scavenger hunts, soccer shootouts, basketball tournaments and dance classes. Additional excitement can be found on deck 3, where the casino offers a selection of slot machines and gaming tables, as well as regular tournaments such as Texas Hold 'em. Holland America Line is known for its culinary excellence, and has a long-standing Culinary Council drawn from leading chefs worldwide, who advise on the food served on the ships. Vegan and gluten-free options are available throughout the ship, and Holland America offers special menus for kids in the Dining Room and the Lido Market. Main Dining Room - A two-story dining venue open for breakfast, lunch and dinner with a stunning wine tower as the centerpiece, the dining room offers a variety of menu options, including vegetarian and locally-inspired cuisine. Dinners can be ordered in five courses with recommended wines. You can eat at any time from 5:15 to 9:30 p.m., or choose a traditional seating schedule, either early seating at 5:45 p.m. or main seating at 9:30 p.m.
Lido Market - Buffet format open for breakfast, lunch and dinner. Lido is a marketplace-style buffet in a cafeteria setting, where passengers select items from five themed stations, along with several made-to-order options. At breakfast, guests will find an omelet station, fresh orange juice, eggs and pancakes. Lunch includes international cuisine, and for dinner, the buffet serves the same menu items as the main dining room. There is no extra charge in the Lido Restaurant. Grand Dutch Cafe - The food is free here, but the specialty coffees and the beer on tap are not, nor are some of the sweet Dutch treats. This cafe specializes in Dutch dishes, which might sound a little strange to non-Dutch palates. You'll find pickled herring, a type of french fry (friets) in mayo and a veal ragout sandwich, plus plenty of pancake variations. Dive-In Grill - On the Lido Deck, you can find the snack foods you crave at the Dive-In Grill: hamburgers, pizza, sandwiches and hot dogs. It is open 11:30 a.m. to 8 p.m.
Explorations Cafe - Sharing space with the Crow's Nest at the top of the ship, Explorations Cafe offers snacks throughout the day including fruit cups, yogurts and pastries in the morning; finger sandwiches and cookies midday; and sweets in the evening. New York Deli and Pizza - In this snack bar located near the Lido pool, the pizzas are made-to-order with various toppings or guests can pick their own ingredients. The thin-crust pies come out piping hot in individual-sized portions and can be paired with salads and desserts. Open 11:30 a.m. to 11:30 p.m. Afternoon Tea - Served on all Holland America ships, this is a tradition to enjoy with a variety of teas, cakes, biscuits and finger sandwiches. 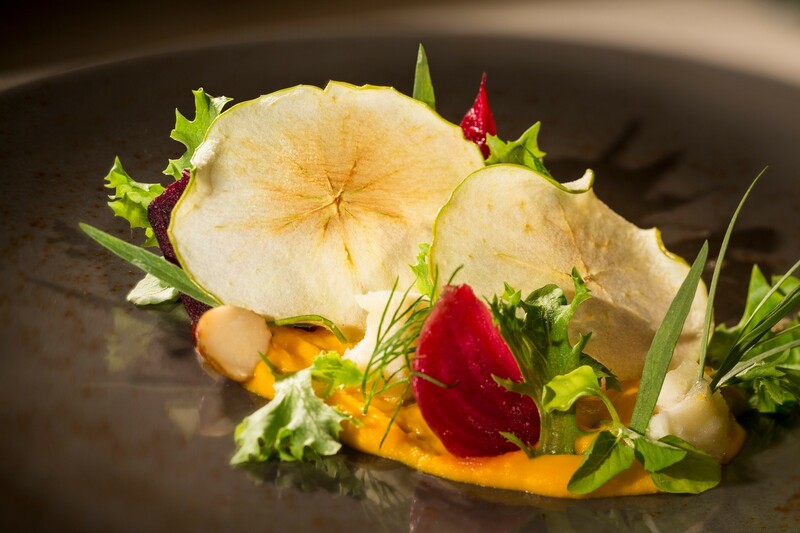 Culinary Arts Center - A special treat on the Koningsdam. You can dine at the Culinary Arts Center with a cocktail, a glass of wine or beer and order classic American dishes such as steak, wings and parmesan fries. Order from an a la carte menu. 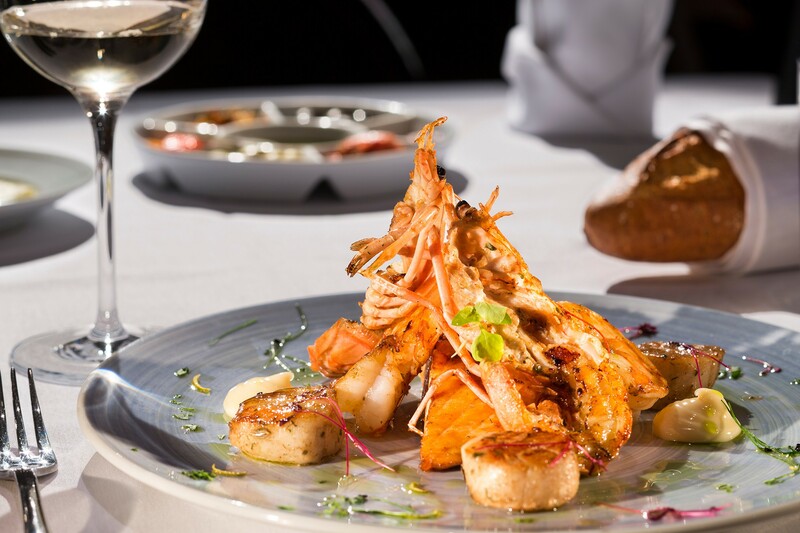 Sel de Mer - The French-styled restaurant serves up seafood in a traditional brasserie setting, in which fresh fish and shellfish are brought to your table so you can choose. Sel de Mer serves classics such as escargots bourguignonne, bouillabaisse and salt-crusted whole fish, sometimes procured locally at the pier. Pricing is ala carte. Canaletto - Named after a famous Italian artist, this Italian-themed restaurant serves a variety of Italian and Mediterranean specialties. Appetizers might include antipasti, risotto or beef carpaccio; pasta dishes include shrimp ravioli and gnocchi. Three courses are served for $15 per person. G Gelato - Serves scoops of gelato for $2. Open 11:30 a.m. to 11 p.m.